Introduced in mid 1967, the V1181 Westminster replaced the V118 Westminster as the "top of the line" US Vox bass amp. 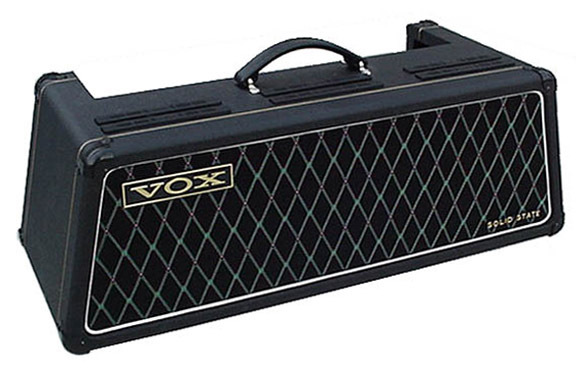 Like the V118, it featured a two channel, 60 watt RMS amp head and an enclosure with one four ohm 18" Vega speaker. While nearly identical to the V118 Westminster it replaced, he V1181 head added a new feature called a "G-Tuner." 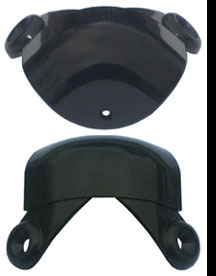 The G-Tuner provided a reference tone to assist in tuning a bass guitar. The V1181 also included a few minor updates to the 60 watt power amp module. Thomas to design, build and distribute the Vox gear that would be sold to the North American market. Export shipments from JMI to Thomas Organ ceased almost immediately after the license agreement was finalized. Thomas sought to streamline the cumbersome hand wired tube amplifier designs they had previously purchased from Jennings. Thomas felt that a complete redesign of the Vox line would lead to increased profits. Vacuum tubes would be replaced with solid state circuitry. Thomas would further reduce costs through standardization and modular construction. Modular construction allowed Thomas to trim costs by sharing certain subassemblies over a number of amp models. Such sharing would trim the required number of inventory items that needed to be stocked to produce a line of amplifiers. 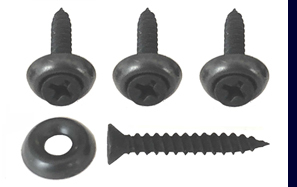 It also offered the opportunity to reduce part costs through what is known as the "economy of scale." 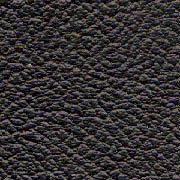 Part prices often decrease as consumption (and order size) increases. A good example was the steel preamp chassis found in the V1181 Westminster amp. This chassis was not unique to the Westminster. It was also used in the Viscount, Buckingham, Royal Guardsman, Sovereign, Super Beatle and Beatle amplifiers. While the same metal chassis was utilized in each of these amps, the number of features in the amp varied by model, as did the number of controls, switches and jacks. The standardized chassis included all of the component mounting holes required to build any of these amps. 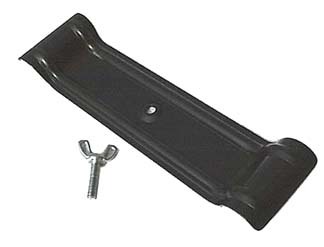 A model specific control panel covered any unused chassis holes. The photo of the V1181 chassis at the top of this page reveals a number of such unused control and switch holes. Another example of modular construction involves the preamp circuitry. Thomas Organ designed a universal modular preamp circuit board (Thomas p/n 25-5222-2) for their first and second generation Viscount, Buckingham, Royal Guardsman and Super Beatle guitar amplifiers. This single circuit board contained the preamp circuitry for the Normal, Brilliant and Bass channels plus the tremolo and "Watchdog" limiter circuitry. circuit board into the V118 and V1181 Westminster heads. As the the two channel Westminster head did not include either tremolo or a Brilliant channel, the sectors of the circuit board that supported these features were not populated with electrical components (see photo above at right). Aside from lacking tremolo and reverb, the circuitry for the Normal and Bass channels in the V1181 Westminster amp was identical to the Normal and Bass channels in the Buckingham, Royal Guardsman or Super Beatle. The circuit board was hinged, allowing top and bottom access for ease in service (see photo above at left). A color coded illustration of the sectors of the 25-5222-2 circuit board as populated for the V1181 Westminster may be viewed at the top of this page. The Westminster, Essex Bass, Viscount, Buckingham, Sovereign, Royal Guardsman, and Super Beatle amplifiers all included the "Watchdog" audio limiter circuit. The 1967 Vox catalog proudly proclaimed that "Watchdog lets you to blast clearly without overloading. Play at maximum power with optimum tonal quality. When compared with other amplifiers, Vox amps with Watchdog give more usable power, watt for watt, than others of even higher power rating." The Vox "Watchdog" limiter circuit was designed to prevent audio levels from increasing beyond a preadjusted point. As the amplifier reached the level where distortion would occur, the Watchdog circuit would restrict the output level of the preamp to keep the audio signal clean. The Watchdog circuit didn't actually increase the total output of the amplifier, it simply allowed the amplifier to work closer to the maximum undistorted audio output. A chassis mounted threshold control adjusted the point where the Watchdog circuitry capped the maximum output from the preamp (see image at top of page). Click here to learn about the calibration procedure for the Watchdog limiter circuit. 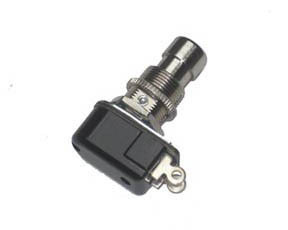 A two button foot switch was included with the V1181 Westminster amp head. This foot switch tied into the "Tone X" tone control and pedal amplifier circuitry located in the Bass channel. The Tone X tone control and circuitry made it possible to make a dramatic shift from a low pass filter to a high pass filter with the twist of a control knob. When the Tone-X control was rotated fully counter-clockwise, the tone was very deep. When rotated clockwise, the tone was brilliant and thin. 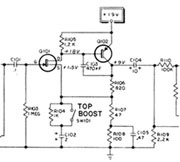 The pedal amplifier circuitry, located on the preamp circuit board, worked in conjunction with either button on the foot switch to electronically simulate the effect of turning the Tone X control to the fully clockwise position. One of the foot switch buttons was a momentary switch (hold the button down to operate), the second was a latching switch (click "on," click "off"). Thomas Organ added an "G-Tuner" reference pitch generator to the V1181 Westminster amp. It provided an electronic "pitch pipe" tone to assist in tuning a bass. The Vox Westminster service manual stated that the G-Tuner circuit was "factory adjusted to a frequency of 195.998 cycles, the true pitch of the G string on a bass guitar." 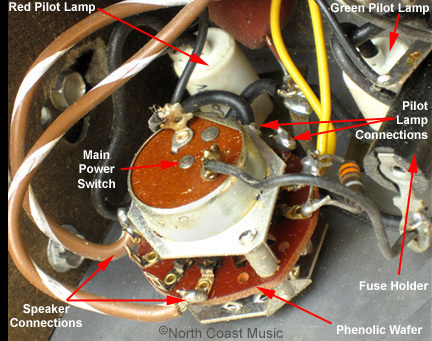 A slide switch, located on the rear control panel, turned on the G-Tuner tone. Some earlier V1181 amps have a rotary G-Tuner switch. The G-Tuner circuit was mounted to the upper left corner of the head cabinet and was connected to the preamp by a cable with a plug (see photo at left). The Normal channel volume control adjusted the level. If a serviceman neglects to reconnect the G-Tuner to the preamp after service, the Normal channel will be dead. The Westminster amp used a rotary power switch (Thomas p/n 69-5202-2) that was custom manufacured for Thomas Organ by Clarostat. This switch has caused a few service issues, so let's take a brief look at how it works. The switch had three positions: "Off," "Standby" and "Operate." The switch also had three individual circuits. The main power switch circuit was located in the back of the switch assembly and supplied 120 VAC to the amp. 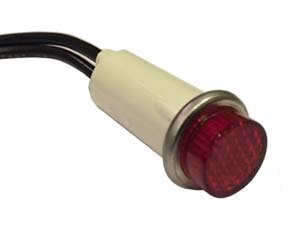 A second circuit supplied 28 VDC to the red and green pilot lamps. A third circuit completed the circuit between the power amp and the speakers. When the switch was rotated from the "Off" position to "Standby," the main power switch turned on the AC power to the amplifier. 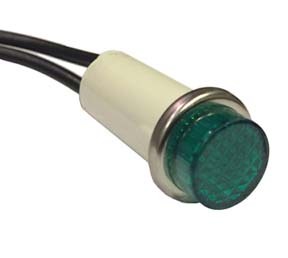 The pilot lamp circuit in the power switch illuminated the green Standby pilot lamp. 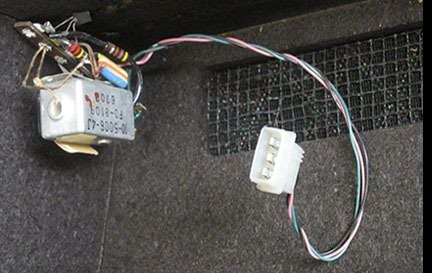 While in the Standby mode, the speaker switch did not complete the circuit from the power amp to the speakers, allowing the amp to be powered up without hearing a "thump" from the speakers. When the power switch was rotated from "Standby" to "Operate," the main power switch continued to supply AC power to the amp. The Standby pilot lamp was extinguished and the red Power pilot lamp illuminated. Lastly, the connection between power amp and speakers was completed, enabling the amp for performance. 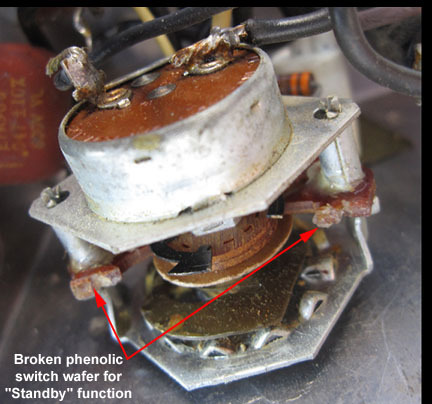 It is not unusual for the phenolic wafer in the rotary power switch that completed the connection from the amp head to the speaker cabinet to snap off and break. Such damage to the power switch was ironically the result of prior amp service. The damage can happen if the two conductor plug that joined the wires coming from the phenolic speaker wafer on the power switch to the XLR speaker output jack is not disconnected when removing the back. 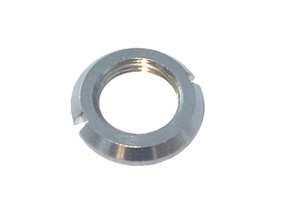 If one neglects to disconnect this plug, a tug on the removable back panel can exert enough pressure on the speaker wafer of the power switch to cause it to fracture. At left is a photo of the three position power switch that has lost the phenolic wafer that controls the speaker standby function. two speaker wires (brown wires with white stripes) from the broken portion of the rotary switch and connect them together. Unfortunately, this eliminates the speaker standby circuit but it restores function to the amp while retaining factory stock appearance. The driver stage of the 60 watt V1181 Westminster power amplifier module was redesigned from the original V118 specifications. Most notably, the component values of the dropping resistor and bypass capacitor used in the inverse feedback loop were changed as was the point where inverse feedback was reintroduced into the input of the power amp. 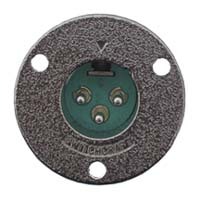 In the V118, the inverse feedback signal was returned to the circuit at the input jack. Inverse feedback is returned to the input stange of the V1181 power amp at the emitter of transistor Q6. available exclusively at North Coast Music. Some are shown below.